Natasha: I remain a better fighter than you. But a lesser assassin. Anya: Exactly. And do you know why that is, you pathetic relic? Natasha: Because I care. You’re here to exploit these girls. I’m here to save them. 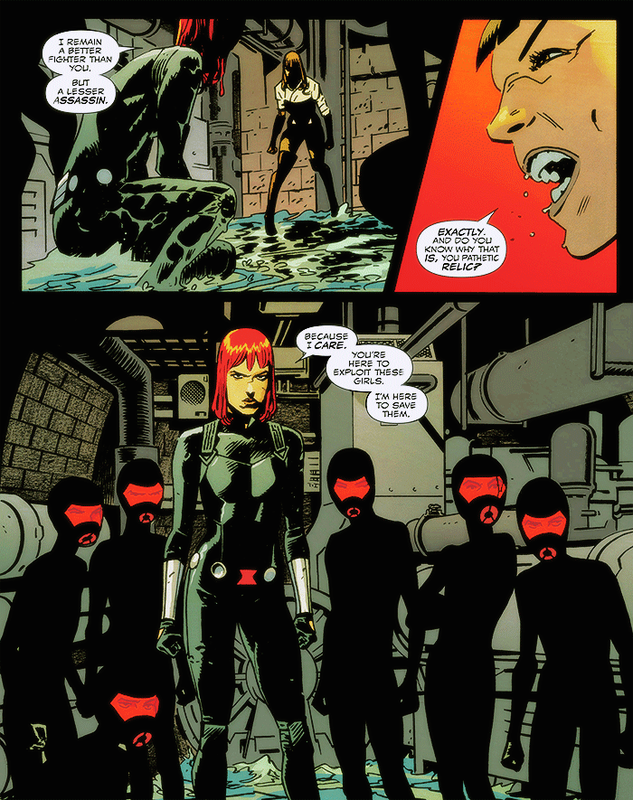 From Black Widow #12 by Chris Samnee and Mark Waid.